Malignant mesothelioma is an extremely aggressive cancer in which malignant cancer cells are found in the sac that lines the chest, abdominal cavity, or heart. Asbestos exposure is the only known cause of this devastating illness. The average age of mesothelioma patients is between 50 and 70 years. Men are typically affected more often, due to the common presence of asbestos in industrial settings. But women are not excluded. Household exposure to asbestos is a leading cause of mesothelioma in women. Most women who develop the fatal disease had secondary or environmental exposure to asbestos. Some experience direct contact with the mineral while on the job, and a few develop the disease without any known exposure. Women who are diagnosed with mesothelioma find themselves in unique circumstances. On average, women tend to have a slightly better prognosis than men. This is because treatments can be more effective for women. However, because of the nature of the disease, it is usually significantly easier for men to prove which company or companies are responsible for their asbestos exposure. This means that women are at a legal disadvantage. 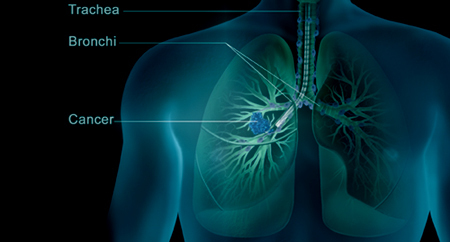 The specific mesothelioma diagnosis is given based on where the cancer originally developed. Most women who develop the cancer are diagnosed with pleural mesothelioma, which affects the lining of the lungs. In men, pleural mesothelioma occurs five times more frequently than peritoneal mesothelioma, which develops in the abdominal lining. In women, this ratio is skewed. Pleural mesothelioma occurs only twice as frequently in women as peritoneal mesothelioma. Pericardial mesothelioma, the third most common type, develops in the lining of the heart. These three types of mesothelioma are almost always associated with prior asbestos exposure. In exceptionally rare cases, some individuals have developed mesothelioma without ever coming into contact with asbestos. These patients are often young women who develop very specific types of the cancer. Well-differentiated papillary mesothelioma (WDPM), for example, is usually found in women in their 30s and does not have a strong connection to asbestos exposure. Although it mostly occurs in the peritoneum, it has been diagnosed in other areas such as the pleura. Those diagnosed with this cancer usually have a better prognosis than average mesothelioma patients. WDPM patients have life expectancies ranging from three years to more than 10 years. Asbestos is a fibrous mineral known for its insulating and fire-retardant properties. For these reasons, asbestos was once a staple in most insulating products, many industrial and construction products, and was used extensively on U.S. Navy ships. In addition to widespread use across the United States, asbestos was also used around the world. It was commonly applied in the oil and gas fields of Iran and other areas in the Middle East region. The problem with asbestos is that its fibers produce fine dust that, when inhaled, form deposits in the lungs that can cause serious and deadly illnesses. Both firsthand and second-hand exposure to asbestos can put an individual at risk. Today, more than 3,000 everyday products may contain some amount of asbestos, but the widespread use of asbestos in the United States ended in the 1970s, thanks to government enactment of strict regulations for workplace exposure. People most at risk for developing mesothelioma or other asbestos-related illnesses are workers whose jobs directly exposed them to asbestos fibers, especially those who worked with asbestos many years ago — yet even minimal exposure can result in this or other asbestos-related illnesses. In fact, there are many documented cases in which the spouse or child of a worker exposed to asbestos on the job developed asbestos-related diseases. In these cases, the family member is exposed to asbestos particles that the worker brings into the home on his body, work clothes, and shoes. This type of asbestos exposure is called “household exposure,” and it can be as deadly as being exposed to asbestos directly on the job. Asbestos-related illnesses such as mesothelioma generally have a long latency period of up to 30 to 40 years, which means that people exposed to asbestos decades ago may only now be showing symptoms of the disease. Toxic tort litigation encompasses mesothelioma and other asbestos-related cases. This type of lawsuit is generally brought against the manufacturers, distributors, or suppliers of a chemical or substance that causes injury or illness. Toxic tort cases are often filed on behalf of people confronting devastating illness and overwhelming adversity as a result of exposure to a dangerous substance. Frequently, a long period of time elapses between exposure to the toxin and diagnosis of a related illness. Despite the severe damages, long latency periods can make these cases difficult to prove. However, many victims of asbestos disease and their families are entitled to receive compensation for their injuries because manufacturers of asbestos-containing products often knew about the dangers, but failed to inform the workers. If you believe you or a loved one have been diagnosed with mesothelioma or other asbestos-related illnesses, please contact us at 1.888.725.1890.